Escape rooms are the fastest growing form of entertainment worldwide. Escape rooms are an exciting new form of entertainment. Fun. Different. Memorable. Entertaining. Trip Advisor rates them as the number one local activity for many cities around the world. Corporate Team Building. Birthday Parties. Student and Camp Groups. School Events. Church Events. Reunions. Festivals. Fundraisers. No matter the event, Roaming Riddle brings you an amazing escape room experience. Your team assembles inside a room. The door closes. The clock begins counting down. Your team must work together searching for clues, solving puzzles, cracking codes, decoding messages, and unraveling riddles all in an effort to find the way out before time expires. 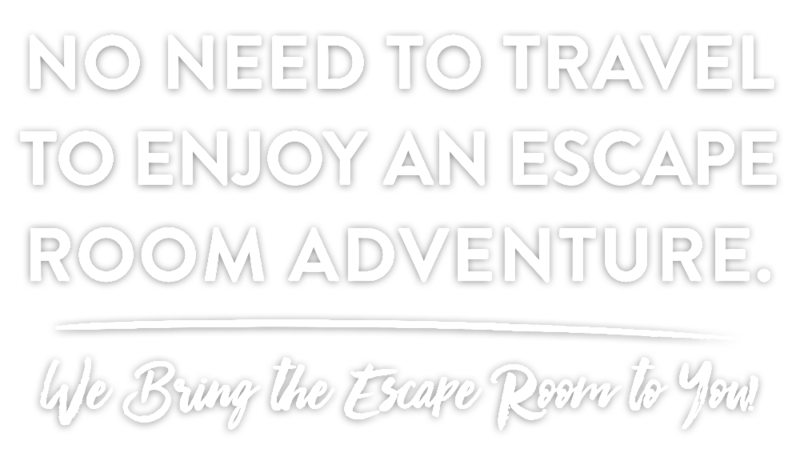 Everything your team needs to escape the room is within the room itself. Your challenge is to figure it out by using your collective wits, intuition, logic, powers of observation, and strategy to conquer the room. With Roaming Riddle, no need to travel to enjoy an escape room. We bring it to you at the time and place of your choosing. Roaming Riddle gives your team an opportunity to enter an exciting new world and become detectives and heroes as you work together to make the great escape. Imagine the excitement when Roaming Riddle pulls up to your party or event. Whether played by kids, adults, friends, family or co-workers, a Roaming Riddle mobile escape game is great fun for everyone.